Imagine yourself in a very hot day or after spending two hours working out at the gym. Would you get thirsty? It is just amazing to have an iced glass of water to refresh and hydrate our bodies or to take a long shower to relax after a working day. Water is so essential that no living being could survive without it. But have you ever thought that this resource could end or about the problems water scarcity could bring to the ecosystems and human lives as well? Could you imagine our blue planet without the blue part? Unfortunately, water shortage is a reality and we must understand what causes it and its consequences so that we could try to mitigate and avoid worse problems. The amount of freshwater available in our planet is limited, which puts a cap at how much we can use of it. However, such threshold is likely to be close due to over-exploitation and human’s current unsustainable water use practices. Global demands for water have been increasing since the 1950s, whereas the freshwater supply has been declining. A fast-growing population, associated with ecosystems and land degradation, groundwater depletion, pollution of water courses and the use of water resources for producing more food to an increasing population (through irrigation) are some of the main reasons threatening water availability in terrestrial environments. Climate change is an additional effect that could exacerbate water scarcity in many areas of the world by increasing evapotranspiration rates and through reduced rainfall. A group of scientists recently warned that water shortages are likely to be a major environmental challenge in this century. Indeed, even if we improved the efficiency of irrigations for agriculture, or managed water correctly, some predictions suggest that by 2050 our population will require 12,400 km3 of water, which is almost twice as much as our use today (6800 km3). Irrigation, one of the main uses of water, would probably be the first sector to be impacted by water scarcity, consequently constraining food production in the next decades. In that sense, water scarcity is projected to become one of the main drivers of food scarcity, leading to food insecurity and worsening hunger and poverty. Water scarcity could also implicate in further ecosystem degradation, desertification, and droughts. These consequences together deprive people of means to survive and to carry on their economic activities, undermining social security and sometimes forcing local people to leave their homes to search for better life opportunities. 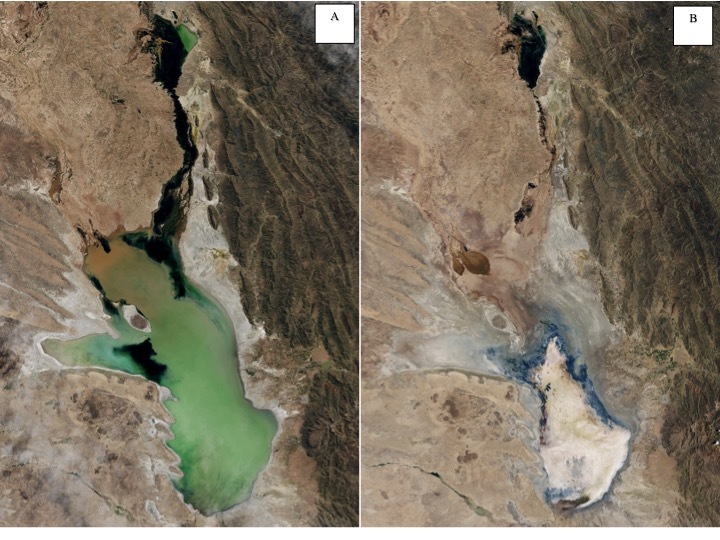 This is what happened to the Urus-Muratos, a Bolivian population who traditionally depended on fisheries and hunting in the Poopó lake, the second largest lake of Bolivia. The saline lake dried up many times along its, but it would always recover to its original levels. However, because of its shallowness (max depth = 3m), Poopó lake is particularly vulnerable to water withdrawal for irrigation purposes, mining activities and decreased rainfall due to climate change. Since 2016, when it dried up for the last time, both locals and researchers believe the lake won’t recover. Without good perspectives, the Urus-Muratos are migrating to other Bolivian cities. Such scenarios are even worse in arid and semi-arid lands where water is no longer abundant and where droughts have become more intense. Arid countries in the sub-Saharan Africa and in parts of South Asia are already subject to hunger, poverty and malnutrition, and water scarcity in such vulnerable areas tends to weight against any strategy to ameliorate social and economic security. As an attempt to better undestand these issues, in June 2018 the Food and Agriculture Organization of the United Nations (FAO) launched a report two days before the World Day to Combat Desertification and Drought, which is celebrated every June 17th since 1995. Fig. 2. From the Food and Agriculture Organization of the United Nations (FAO) report on drought and the way its managed in the Near East and North Africa region. In this report FAO called for a shift in the way governments deal with drought in the Near East and North Africa region. This region is naturally affected by water scarcity and desertification due to its geographical position in the globe, though more severely during the past four decades, especially because of climate change. As a consequence, many socio-economic and environmental impacts are now more frequent. 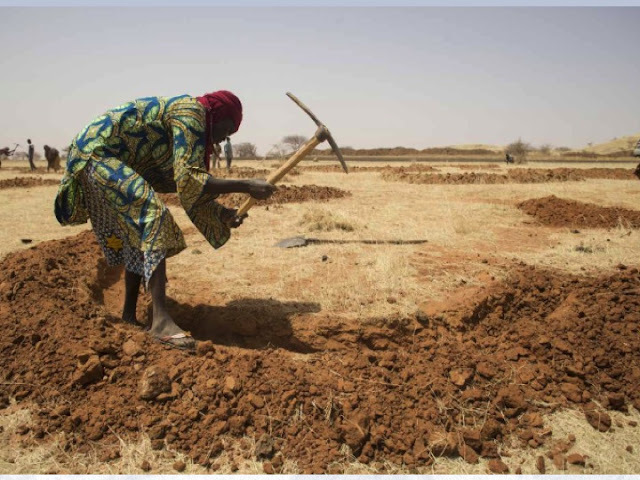 Smallholders and the poor layers of rural societies are especially vulnerable since their current economic activities, such as agriculture, forestry, livestock, and also fisheries, are particularly prone to be impacted by droughts and could severely affect food supply. FAO alerted to the need of a long-term planning and pro-active policy to reduce drought risks and build resilience amongst the 20 countries in the region. The report also states the importance of taking precautionary measures to strengthen societal resilience based on social, economic and environmental contexts of each country instead of just alleviating the consequences of drought through emergency responses. 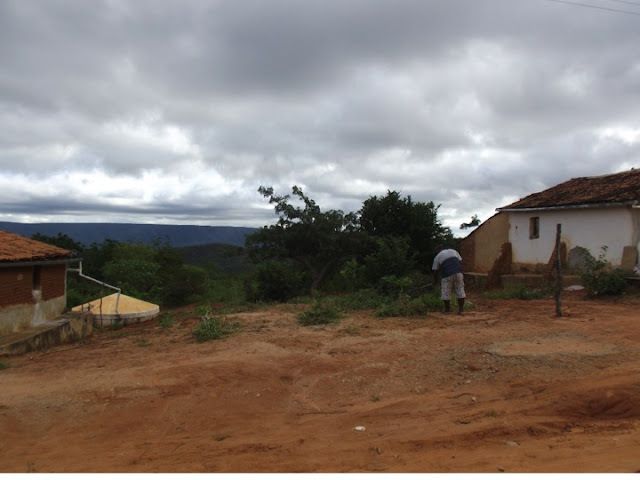 In Brazil, since 2003, a government initiative called National Program to Support Rainwater Collection and other Social Technologies (“Cistern Program” in short) have been aiding the poor rural population to deal with water scarcity and drought, especially in the poverty plagued semi-arid Northeast region. This program aims to guarantee that people have access to water for human consumption and food production (for small-scale farming) through the use of ordinary and low cost social technologies. Although the program was successful and improved many local livelihoods, and also trained family members to apply these technologies (which enhances their capacity of learning and adapting), its budget for 2018 suffered a 95% cut, which basic kills it – a step back for a region desperately in need of affordable solutions to deal with ever repetitive and more intensive droughts. Fig. 3. A cistern (on the left) in a rural community in the semi-arid region of the Rio Grande do Norte State, Brazil. From: Maria Clara B. T. Cavalcanti. In an imminent possibility where freshwater scarcity will pose key challenges to humankind in all aspects of living (worsening poverty, hunger, security, and social inequity) and threats to the ecosystems as well, such as desertification, land degradation and impacts on ecosystem services, what could we do now to revert or stop such bad predictions? For a start, it would be nice if we could change our lifestyles to more sustainable food habits that require less water for irrigation, consume less animal products (as they require a lot more water per kg), invest in new technologies to generate “clean energy”, which could then reduce greenhouse gases emissions that contribute to warm up the planet, modernize irrigation infrastructure, plant more trees and reduce deforestation, preserve terrestrial ecosystems and aquifers, and be aware when using water and other natural resources…There are so many things we could do, both individually and in group! Water is a collective good and the right to use it should be turned into the duty to save it. We must start now. Hanjra, M.A; Qureshi, M.E. 2010. Global water crisis and future food security in an era of climate change. Food Policy 35: 365-377.